Marijuana is a widely consumed recreational drugs in the world. It is used by quite a number people in the world. Like other drugs it is harmful to health. But is creating waves today is the medical properties of marijuana. It is reported that marijuana possesses a number of medical properties that are quite effective in treatment of a number of ailments. In the USA Laws were quite strict regarding marijuana use. But since the early seventies there has been a greater demand for its legalization for medical purposes. At present sixteen American states have legalized marijuana’s medical use and California is one of them. California is one of the most liberal of US states as far as marijuana use is concerned. Both medical and non medical use of marijuana is quite popular in California. California legalized medical use of marijuana inn 1996 when proposition 215 was accepted by 56 percent of its citizens in state wide polls. Under this act patients can possess, use and cultivate marijuana legally. However for this they need a recommendation from a doctor saying that his condition is such that he can find relief through the use of marijuana. An intake of 8 ounce is considered legal. The Senate Bill (SB 420) offers protection to such patients from arrest or detention. Proposition 215 covers quite a number of medical conditions. Some conditions covered by California medical marijuana laws are arthritis, epilepsy etc. There are more than two thousand clinics, dispensaries and taxi services that render medical marijuana services to the patients and all of them are subject to relevant state laws. California medical marijuana laws require patients to get for themselves a medical marijuana card. For this they have to have a valid residential proof-a passport, bank document or any other photo ID card card that contains residential proof would do. The patient has to be 18 years old. If he is younger than that then he has to bring his parents or guardian with him. However one must clearly note that selling drugs to child for recreational use is considered a felony and can bring in serious charges. If a person is caught engaging in such an offence then there is huge possibility that he will be imprisoned for a considerable period of time. Even while prescribing marijuana for medical purposes for people below the age of 18, doctors must apply great caution. 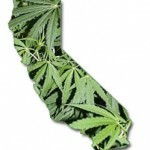 To get a Californian medical marijuana card one has to contact his county office and get the relevant application form. He needs to fill up the relevant information and provide all the necessary details. After doing this, he also needs a doctor to fill up the columns relating to his medical records. Then he has to send the completed application form to the California Department Of Public Health. For the Californian medical marijuana card the patient has to pay a certain fee. He has to pay separate fee to both the State and his county medical marijuana programmer. The Californian medical marijuana card program is voluntary. California medical marijuana laws are quite patient friendly. Many people have benefited from these services. 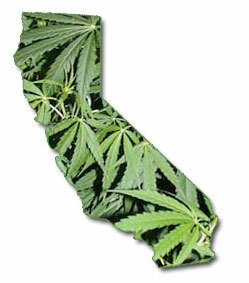 Until November 2009 only three Californian counties had not agreed to the medical use of marijuana. Otherwise in California medical use of marijuana is quite popular. This entry was posted on Sunday, July 3rd, 2011 at 21:56	and is filed under Marijuana Laws, Medical Marijuana. You can follow any comments to this entry through the RSS 2.0 feed. You can leave a comment, or trackback from your own site. Terrible writing. Must have been written by a very young person who does not speak English as a first language. I’ve been playing this game Pokemon and I am enjoying it rather than playing any other game. There is a reason actually behind this, I’ve free pokemon TCGO codes and I could use them to do anything in the game. Get all the cheats of the top csr racing games from here and enjoy playing this game . you can listen and enjoy to unlimited songs with the help of free iTunes codes 2016 learn how..